(P1) Two former senior officials who have pleaded guilty to criminal corruption charges have been banned from football-related activity for life by Fifa. (P2) The sport’s governing body began its own investigation into Rafael Callejas and Alfredo Hawit after they were among 16 football officials arrested by US authorities in Zurich in December 2015. (P3) Hawit and Callejas pleaded guilty to racketeering and wire fraud conspiracy charges in the US earlier this year. They are due to be sentenced in 2017. (P4) Fifa’s ethics committee says the men, both Honduran nationals, took bribes from marketing companies over the awarding of commercial rights for World Cup qualifying matches. It said the bans would come into force immediately. (P5) Hawit, a former Fifa vice-president, was interim president of Concacaf when he was held in Switzerland last year. Concacaf governs football in North America, Central America, and the Caribbean. (P6) Callejas, Honduras’ president between 1990 and 1994, was a member of Fifa’s marketing and TV committee when the arrests were made in a dawn raid at the same hotel where seven other top Fifa officials were held in May 2015. (P7) The pair were arrested on suspicion of accepting millions of dollars of bribes, at the request of the US authorities. 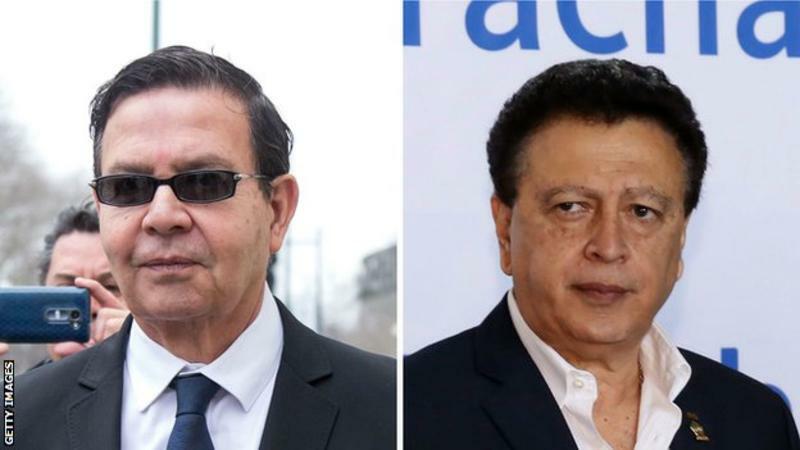 (P9) Callejas will be sentenced in the US on 27 January, while Hawit, who has also pleaded guilty to conspiracy to obstruct justice, will be sentenced on 24 March. In your opinion do you think the two individuals should have received a life ban from FIFA? Why or why not? Do you think bribery happens in every country? Why or why not? Why do you think people take bribes? Where were the two Hondurans taken into custody? What high ranking FIFA position did Hawit hold in the past? Callejas was the _____________ of Honduras in the early 1990’s. What country asked for the two Hondurans to be arrested on bribery charges?